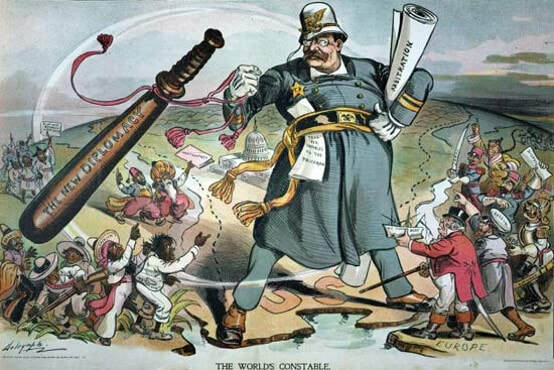 Has the United States been a good neighbor to Latin America? 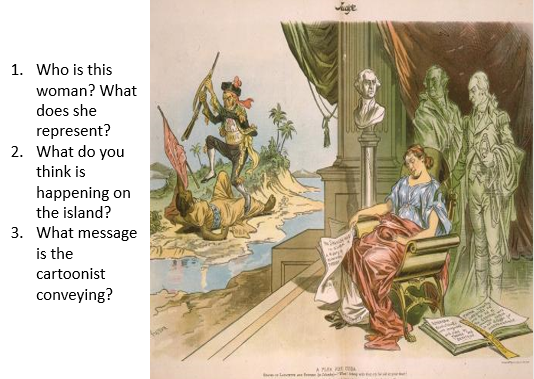 Why did the United States go to war with Spain in 1898? 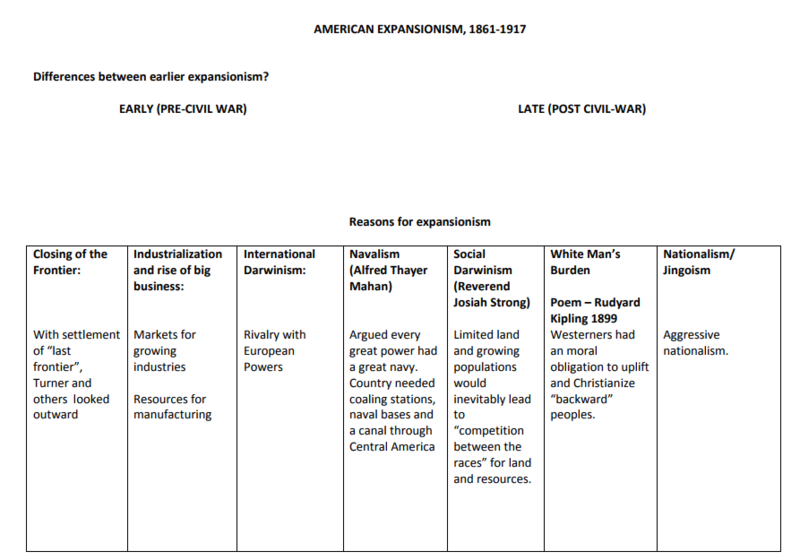 How and why did the United States try to open trade relations with Asia during the second half of the 19th century? 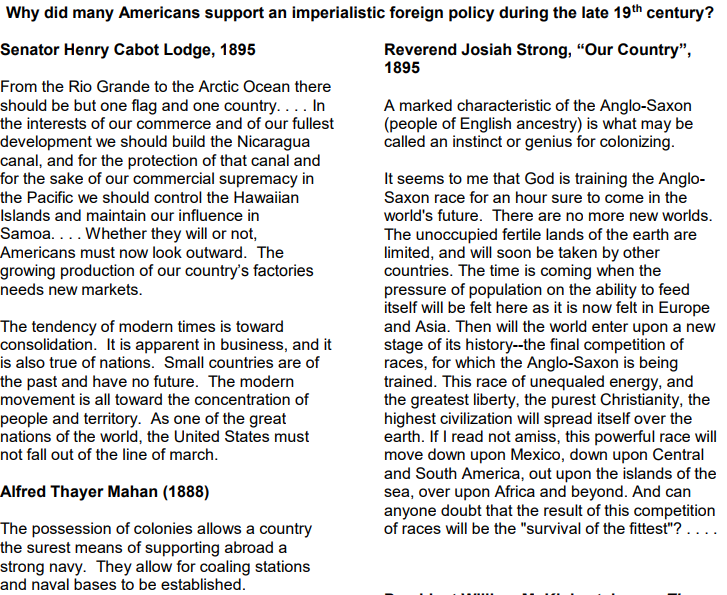 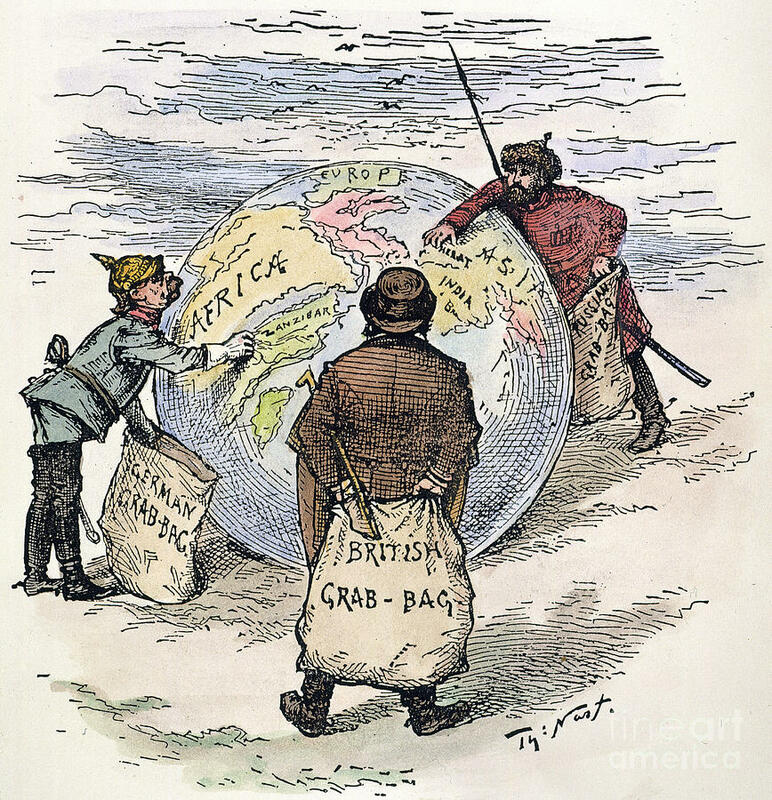 Why did many Americans support an imperialistic foreign policy during the 19th century?